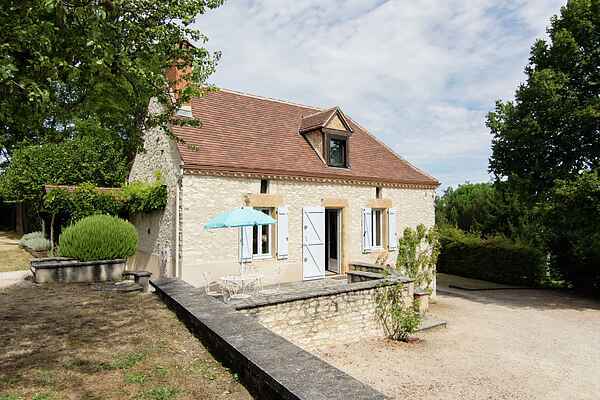 This vacation home is centrally located in the heart of the de Lot departement. The house dates from the 19th century and was renovated in 2007. A large garden with fruit trees surrounds the garden, together with an old water pump, play equipment for the kids and multiple terraces. Take a dip in your private swimming pool, then enjoy the sun on one of the loungers. Have an evening barbecue to round off the day! You can enter the house from the elevated terrace. The interior is cosy and well-kept. You'll feel at home in no time! The Cougnac caves (10 km) with their renowned wall paintings, underground river and stalactites are a household name in the area. On the way home, drive through the village of Gourdon (8 km) to take a drop of Pastis on one of the outdoor cafés, or buy some local specialties at the market on Tuesdays (large supermarket also available). A real medieval must-see is Rocamadour (30 km) with a formidable view across the valley. It's not hard to recognise this town, which was been built into the rocks. Take a nice walk down the 223 steps from the castle!